2018 is set to be another dynamic year for shipping and international trade. Many countries and organisations have sought to improve access through various trade deals. Make sure you are up to date and ready for the year ahead with the latest news in this month’s Investor Alert. It has been another busy month in the global shipping sector, in particular with high activity within Asia and China. With a number of large-scale projects underway, and various trade deals developing, momentum in global trade is set to continue. Stay up to date with the latest news and insights in global shipping in this month’s Investor Alert. It has been a busy month for global trade, with various trade deals and developments being confirmed around the world. 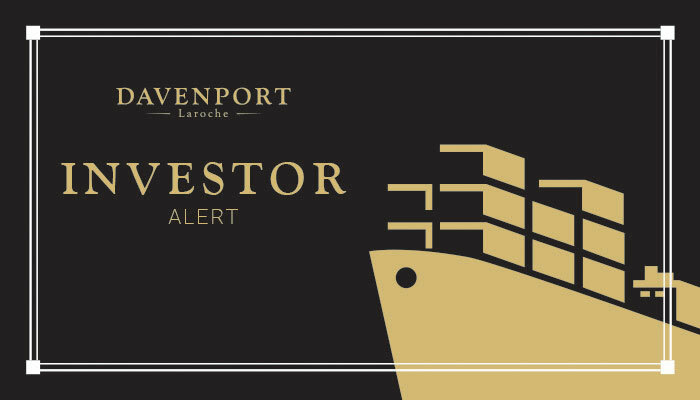 As the shipping sector continues to be buoyed by international trade activity, this month’s Investor Alert will up to date you with the latest developments in global transport and trade. It has been a busy few months for the transport industry across China, with strong expansion in global trade helping boost the world’s largest exporting nation. Underpinned by comprehensive investment and openness to globalisation, the Chinese transport sector is booming. This month’s Investor Alert will keep you up to speed with the latest developments. Once again, it has been a busy month across the planet for the transport sector. With major trading economies picking up speed, and demand for goods continuing to grow, the cargo industry is benefitting. Key developments across the world mean this momentum is set to remain strong – in this issue of “Investor Alert”, we will keep you up to date with the latest stories in investment, trade and transport. In an industrious week for the busy transport sector across Asia, many key players and growing economies are aiming to capitalise on increasing demand and prepare for future opportunities. A wide range of recent developments in the sector have aimed to build on momentum in continental and global trade. As always, we aim to keep you informed with the latest news in investment, trade and transport in this Investor Alert. It has been another busy week in the Chinese transport industry, as the country looks to build momentum in the sector in 2017. Targeting growth and expansion of key supply chains, both railway and shipping will be beneficiaries of forward-facing projects, which will spur growth internationally.